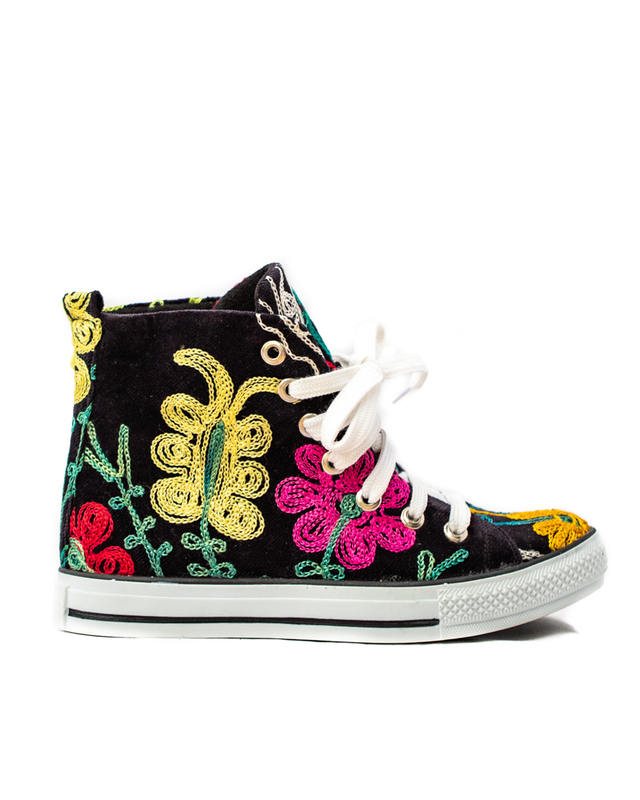 The classic ladies high top sneaker with a twist! 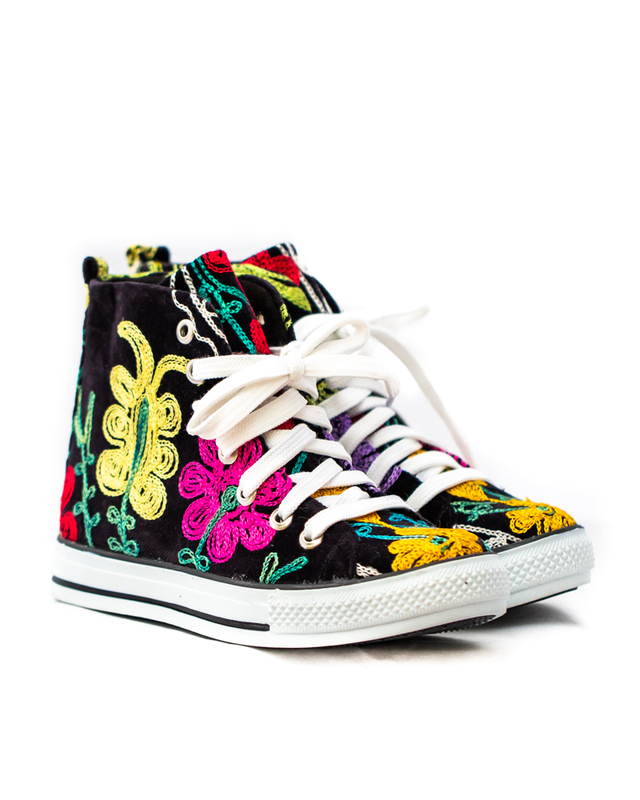 Hand crafted in Europe, our Cabo Wabo High Tops are made from authentic, quality Suzani fabric. 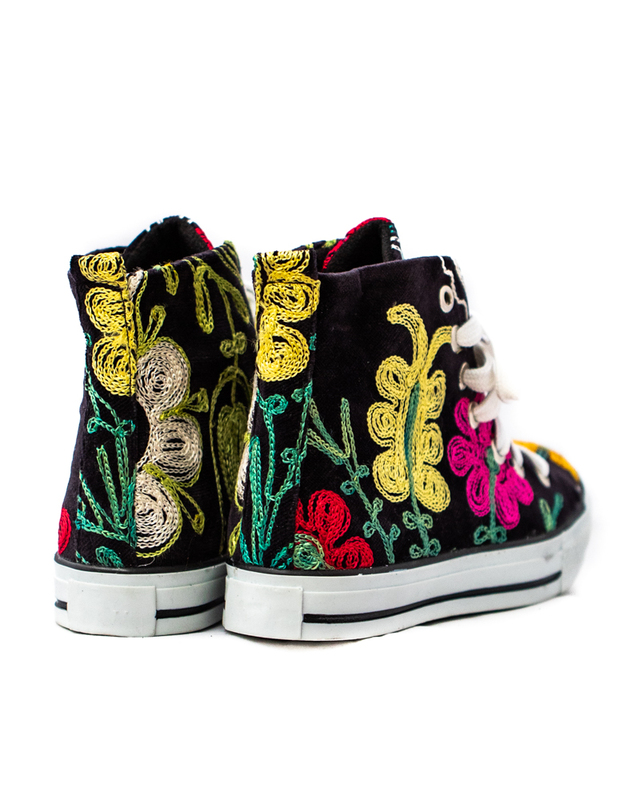 Hand embroidered with one of a kind designs, these eye catching Artistic sneakers are the perfect statement piece for your wardrobe! These shoes are unique to you and designs will vary – no two ladies will ever have the exact same pair! Note: The pair you receive may be similar but not identical to any photos on our website.